Aalto University is one of the organizers of the 2017 Nordic Fire and Safety Days. There are still few days to submit your abstract. 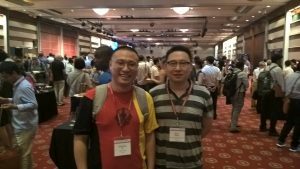 Last year, it was great event. 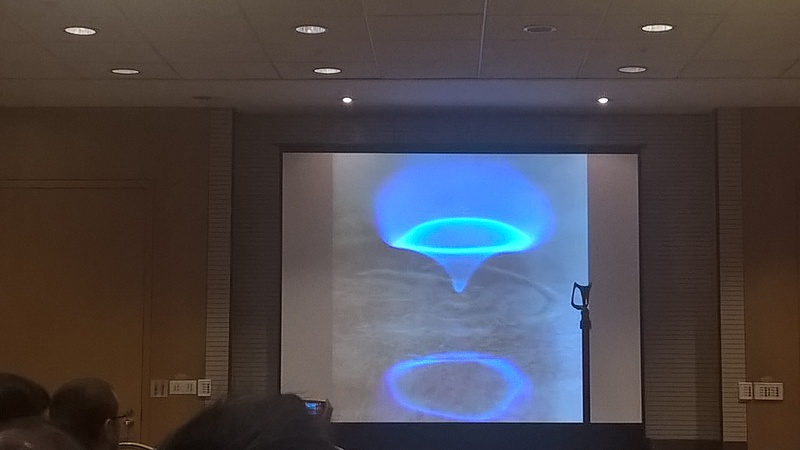 Our latest article, titled ‘Experiments and Numerical Simulations of Pressure Effects in Apartment Fires‘ is now available at Fire Technology -journal. It is OpenAccess. So what is so dangerous about pressure? First, we noticed that very soon after the ignition, the pressure exceeds the level of 100-200 Pa, meaning that the inwards opening door cannot be opened from inside. A person trying to leave the apartment in the early stages of the fire would not be able to do so! Secondly, a bit stronger fire, ignited in the closet of the apartment, was able to break the light-weight external wall of the apartment. This is shown also in the Youtube-video as well. The sensitivity of the over-pressure to the envelope air-tightness was very clearly demonstrated. This means that the above-mentioned problems will become more and more important when we build modern air-tight buildings for the sake of energy efficiency, or in order to manage the conditions inside very tall buildings. Now, when the Finnish building code for structural fire safety (E1) is under modification, it is important to take these findings into account, and require that the pressures are taken into account in building design, along with the traditional threats like fire spreading. We are looking for a MSc student to this paid MSc thesis project. 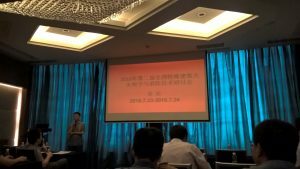 Background: Passive fire protection systems (e.g. stone wool) are used in building and other industries to protect structures and devices from heat and hazardous conditions, such as fire. Design of such systems has been mainly based standardized testing, but a clear need for simulation-based design tools exists. Task: You will construct a numerical simulation model for the thermo-chemical behavior of a thermal insulation / fire protection material using existing simulation tools, such as FDS or Comsol. The model development consists of the specification of heat transfer mechanisms and formulation of chemical reaction scheme to describe the exothermic reactions inside the material. You will determine the model parameters using small-scale experiments and an optimization algorithm, and validate the model using large-scale experimental data. The simulation model can be used for the product development, performance assessment, and risk analyses. Advisor: Thesis advisor will be PhD Hannu-Petteri Mattila, Paroc Oy, Parainen. 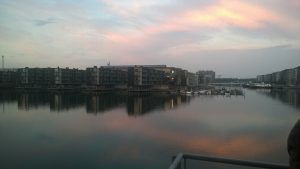 Practicalities: Starting time in winter/spring 2017. The work will be made in the premises of Aalto University or at Paroc (Parainen), as agreed later. Grant of 12 000 eur will be applied from the Aalto University’s Science and Technology Foundation. Expectations: The topic can suit for the students of (applied) mathematics, physics, civil engineering, energy technology and chemistry. 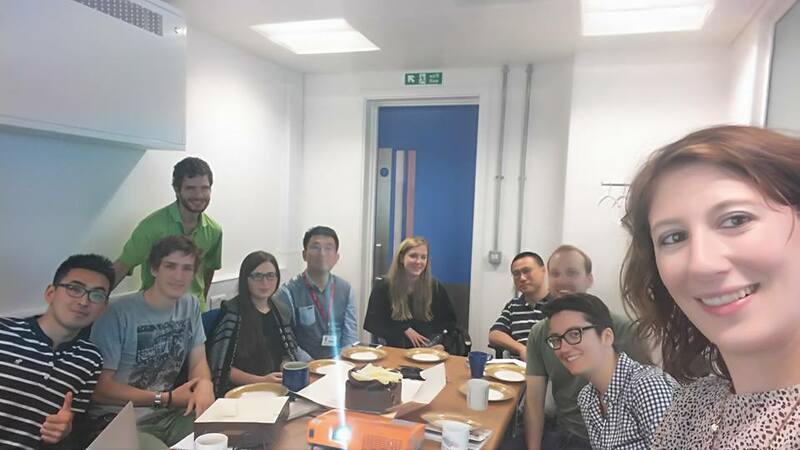 Relevant (non-exclusive) skills: Thermodynamics, heat transfer, numerical analysis, modelling and simulation. Good oral and written English. Group-working skills. Apply before 9.12.2016 by sending your cover letter, CV and study transcript to simo.hostikka@aalto.fi. 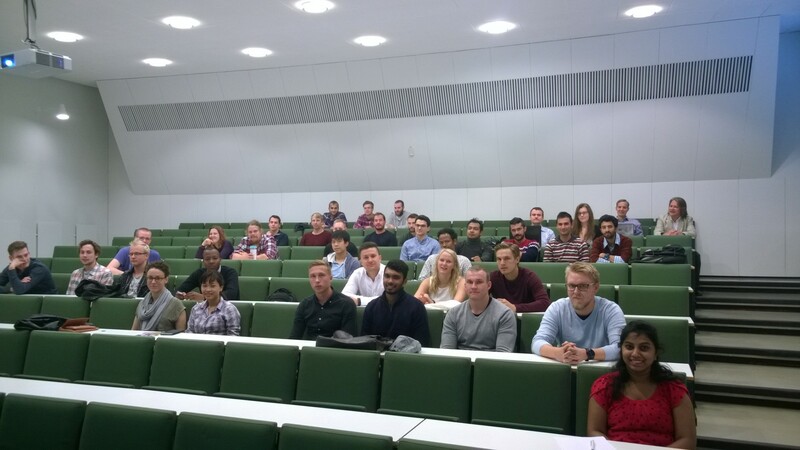 It was a pleasure to welcome the new students to the Building Technology Master’s programme. Simo (program director) gave the introductory lecture. 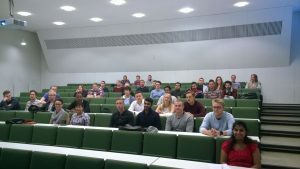 After that the students had orientation orienteering around the department, during which Kai told them about FSE, and Rahul and Umar presented their thesis projects. 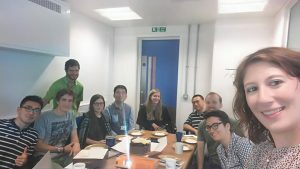 Dr. Kaiyuan Li visited the HazeLab (Fire) group in Imperial College London under the support from COST Action FP1404 and gave a lecture on modeling pyrolysis of charring materials. 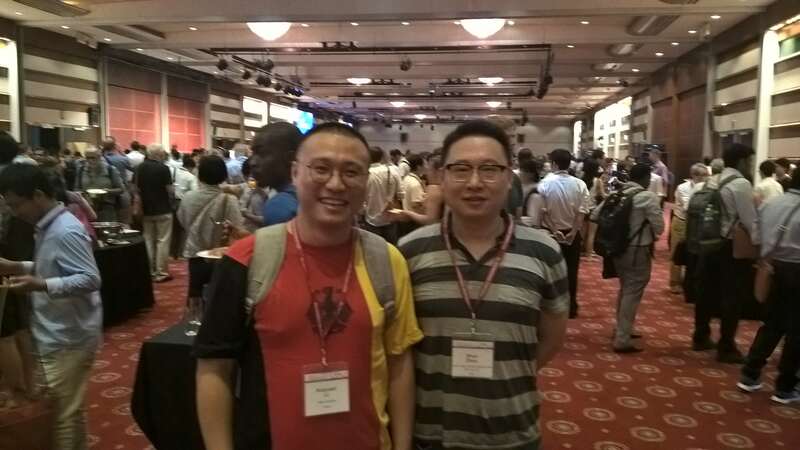 Dr. Kaiyuan Li attended these two conferences and gave a talk on FDS in Chongqing and presented a paper co-authored with Simo on Char cracking in Seoul. We are looking for a new enthusiastic member to our team to develop the computational methods for thermal radiation in fires. It was year 2000 when I was sent from VTT to work as a guest researcher at NIST/BFRL. Within the next year (2000-2001) we wrote, with Dr. Kevin McGrattan, a Finite Volume Method (FVM) -based solver for the thermal radiation to the Fire Dynamics Simulator. FVM is quite similar to the more commonly used Discrete Ordinates Method (DOM). That piece of code has served the fire safety engineers and researchers pretty well over the fiveteen years. Of course, a number of people have contributed to that code since that, but the main body code and the model formulation are still the same. Limitations and problems have been observed over the years. For instance, the ray effect is a problem for the long-distance calculation as it makes the radiative heat fluxes very non-uniform due to the numerical issues. And so is the relatively clumsy spectral modelling option, which enforces most of us to do gray gas calculations even in the cases where the spectral band -nature of the gas emission and absorption makes a difference. And the recent experiences indicate that the accurate calculation of radiation penetration into the liquid pool requires spectral resolution. So, there is work to do. See the announcement at http://www.aalto.fi/en/about/careers/jobs/view/899/. 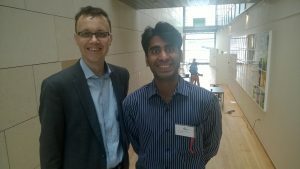 Simo, Rahul, and Kai-Yuan Li attended the NFSD 2016 conference last week in Copenhagen. Simo and Rahul gave presentations on the PAHAHUPA project (pressure maanagement), and Kai about char cracking experiments and modelling. The conference was very well organized – thanks to Anne Dederichs of SP and team at Aalborg University. It seemed very valuable to have an opportunity for Nordic networking among fire researchers. The conference has an aim to be a mix of fire and other safety topics, but at least this time, the most of the topics dealt with fire. In coming years, I would hope to see more authorities and people from ministries and funding bodies to attend. I think they should follow the topics popping up in this kind of events. Deepak Paudel joined the Fire Safety Engineering research group as a doctoral student. 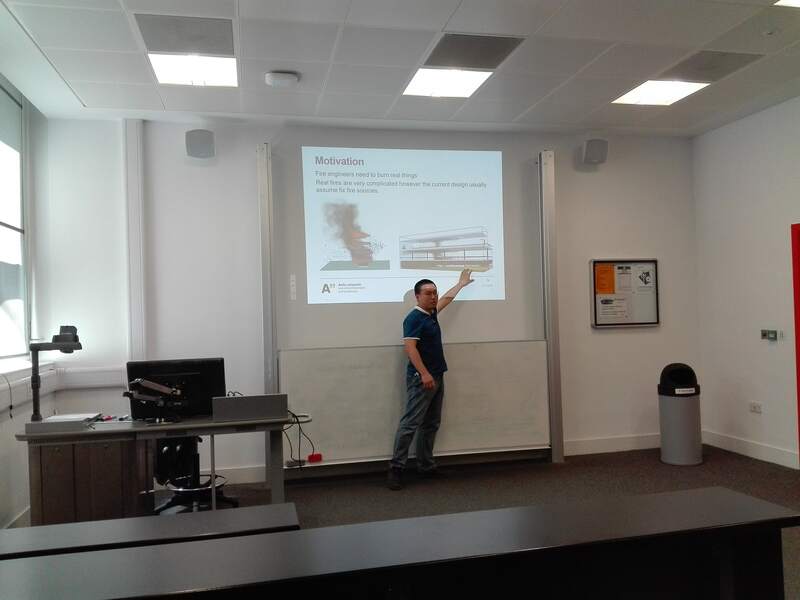 His research project will focus on the fire barrier performance analyses and the evaluation of modelling uncertainties in buildings and nuclear power plants. 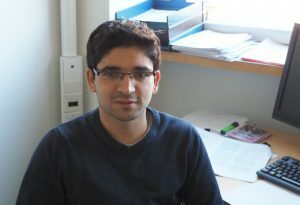 He received his MSc in mechanical engineering from Aalto School of Engineering. Deepak was originally from Nepal. Alltogether 14 students passed the Fire simulation -course this spring. The course was about fire and evacuation simulations, focusing on the simulation technology. Congratulations to all our active students! In the final project of the course, the students had to perform a fire and evacuation analysis of Aalto University’s new building, called Väre. Actually, just the part of the building which contained the lecture halls and large atrium. The project works were evaluated based on the technical aspects of the simulations, reporting quality and critical assessment of the results. 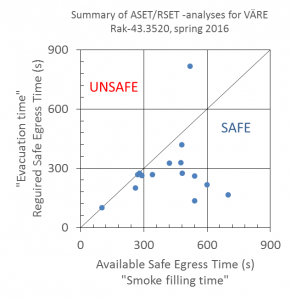 The actual analysis outcomes, such as fire conditions or evacuation times, were not really evaluated, as I did not have a ‘correct answer’ to provide. Also, as we did not really cover the performance based design process in this course, the students were on pretty much on their own when making the modelling decisions. However, I thought it would be interesting to see how the results are distributed. 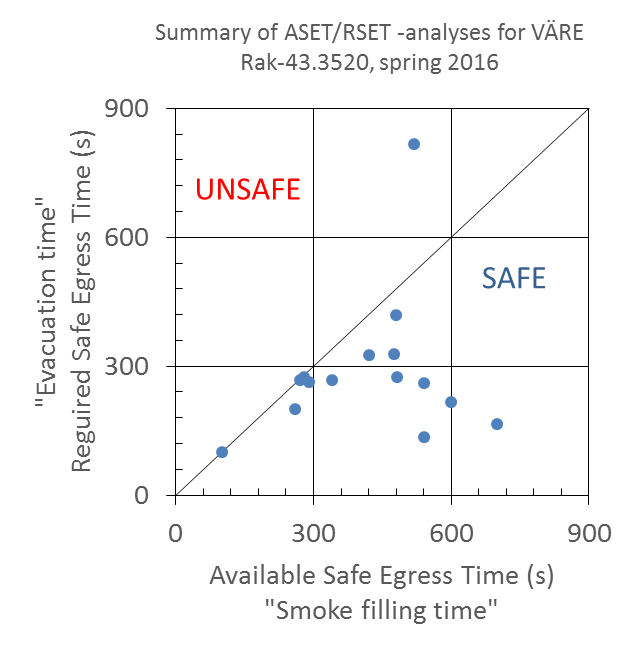 The figure below shows a summary of ASET vs. RSET values extracted from the students’ reports. What surprised me, was the fact that the scattering in the fire simulation results, i.e. the ASET value, was so large. OK, among the results there are some that included a clear error in fire specification. But anyway, I would have expected that the scattering would be more in the evacuation simulation results. As a teacher, this was a very valuable exercise to me because it gives me a reference point when designing a future course about ‘Fire risk and evacuation analysis’, to be organized in fall 2017. 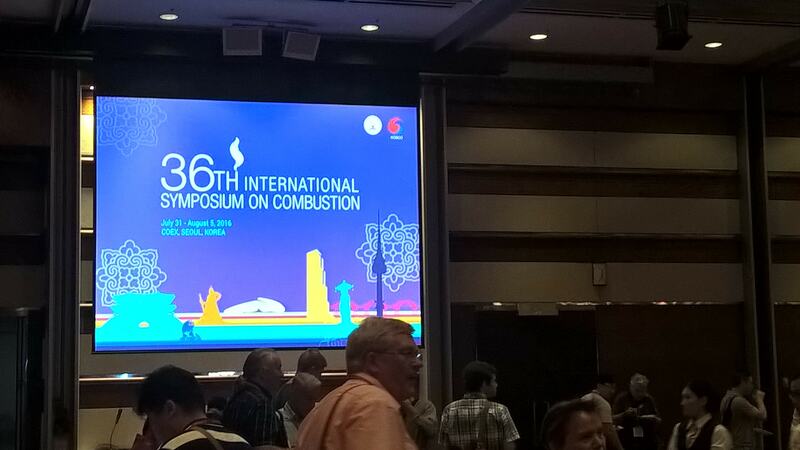 Justification of fire scenarios, critical review of modelling decisions, and self-evaluation will become topics there. Below some pictures of the simulation project, created by Marianna Kauriala.